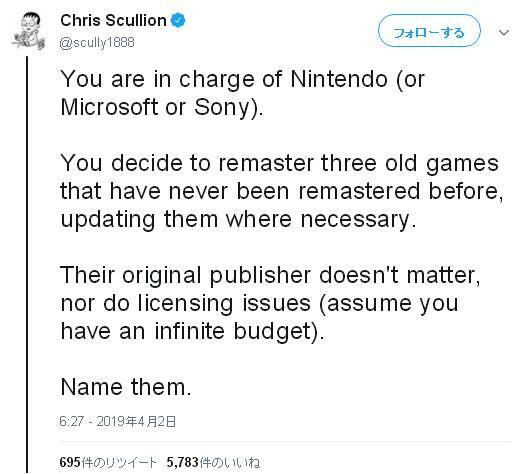 You are in charge of Nintendo (or Microsoft or Sony). You decide to remaster three old games that have never been remastered before, updating them where necessary. Their original publisher doesn't matter, nor do licensing issues (assume you have an infinite budget).